OAKLAND, Calif. -- The Oakland City Council voted Monday night to allocate $14 million to support homeless residents, city officials said. 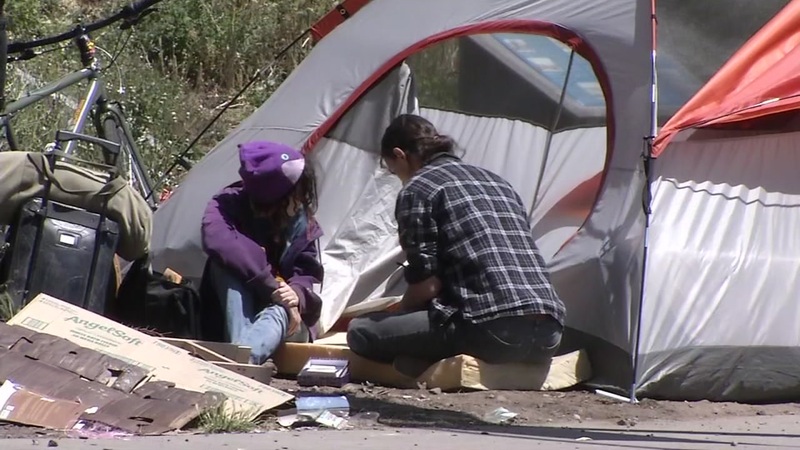 According to Councilwoman Rebecca Kaplan, the funds will enable the city to purchase existing single-room occupancy motel properties, help people get off the streets and provide services and support. "Homelessness is a growing crisis in our community," Kaplan said in a statement, adding that she was pleased with the amount allocated. "The Oakland City Council took an important step but the work does not stop here, and we will continue to work with the county and others to bring the services our community needs," she said. A recent count of Oakland's homeless population found that homelessness in the city is on the rise and there are currently more than 1,900 unsheltered residents, Kaplan said. Click here to read more stories on homeless issues in the Bay Area.